Use this simple test kit to learn the specifics about your soil before starting your gardening project. 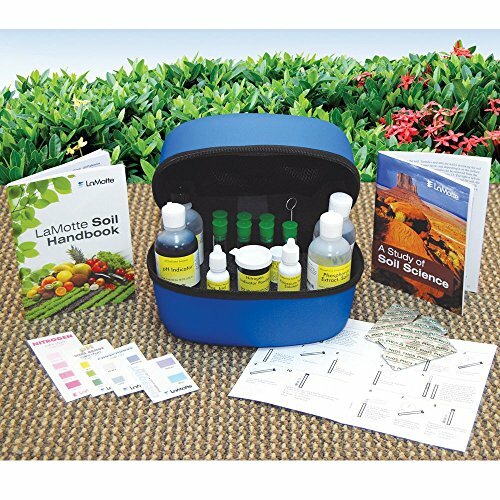 Used for soil science education or garden analysis, the kit includes rapid test procedures, diagrammed instructions, and laminated color charts used to measure concentrations of nitrogen, phosphorus, potassium (15 tests each), and soil pH (30 tests). The Garden Guide Manual and LaMotte® Soil Handbook are included to interpret test results and offer lime and fertilizer recommendations.